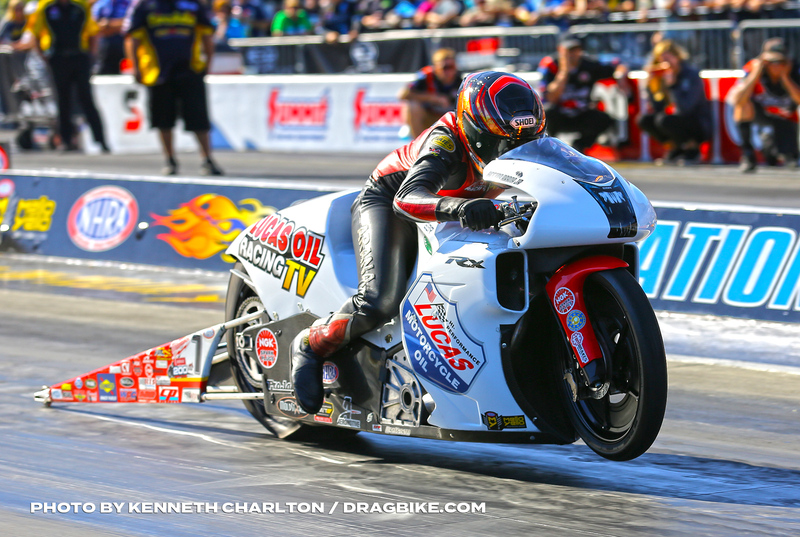 Hector Arana Jr. would close his 2018 season strong with a semi-final finish at the Auto Club NHRA Finals at Auto Club Raceway at Pomona and earn the third position in the NHRA Mello Yello Drag Racing Series Pro Stock Motorcycle standings. Arana Jr. came into Pomona fourth in points and with a mathematical chance at stealing the title. He would race his Lucas Oil Racing TV EBR to the second place position in qualifying to keep pace with points leader and eventual champion Matt Smith and earn valuable bonus points that would prove vital come race day. 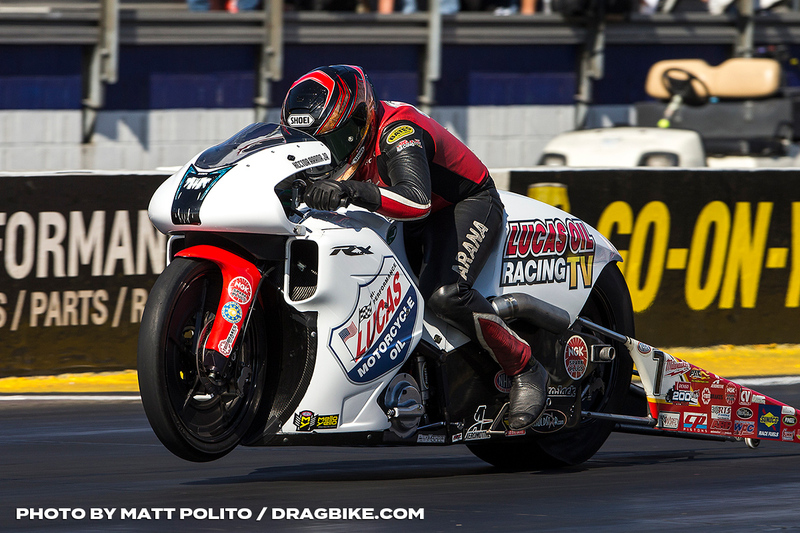 Coinciding with Jr.’s strong finish was a late-season resurgence for teammate Hector Arana Sr., who would qualify his Lucas Oil EBR in the top-half of the field for the second consecutive event and conclude 2018 with a second-round finish. Team Arana is hoping to carry this momentum into 2019.